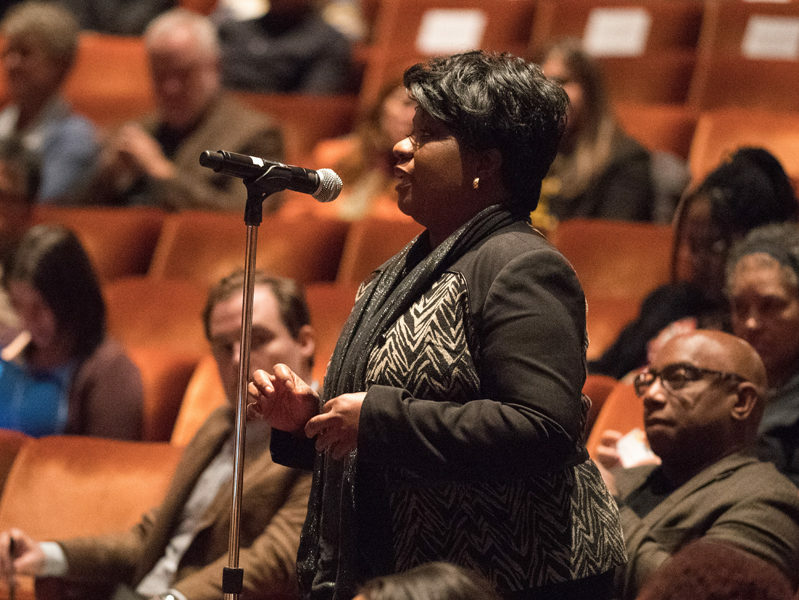 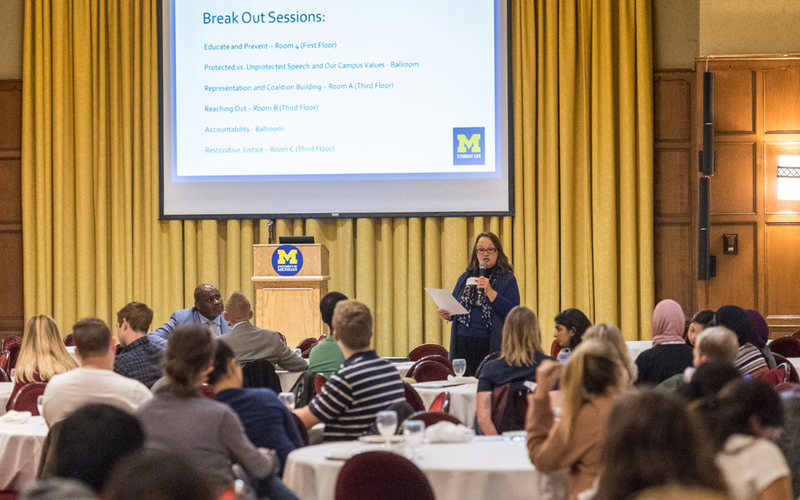 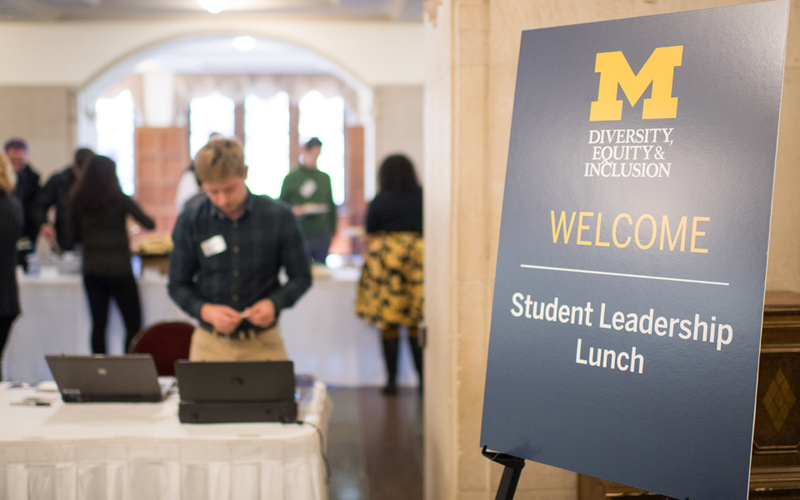 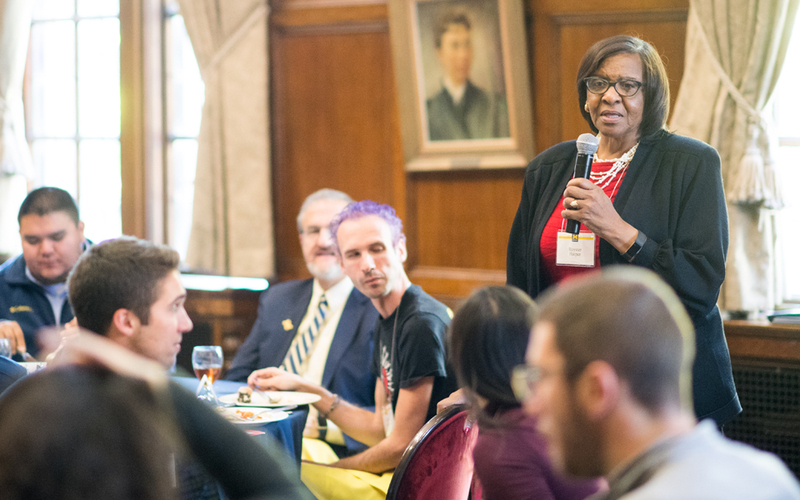 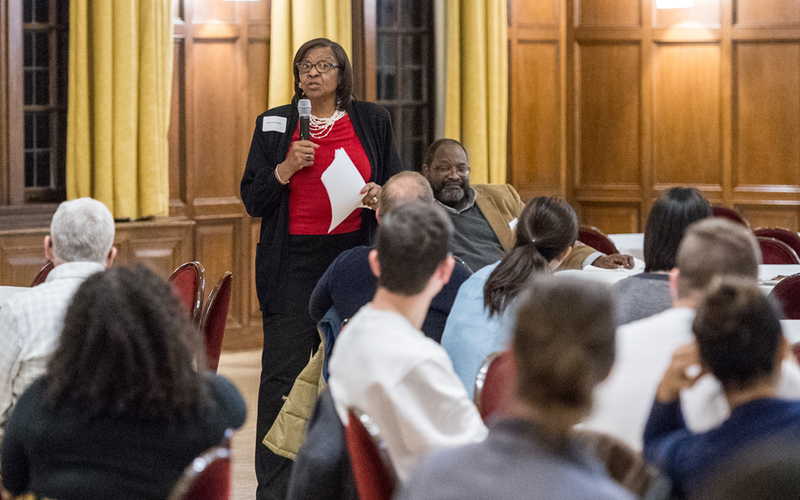 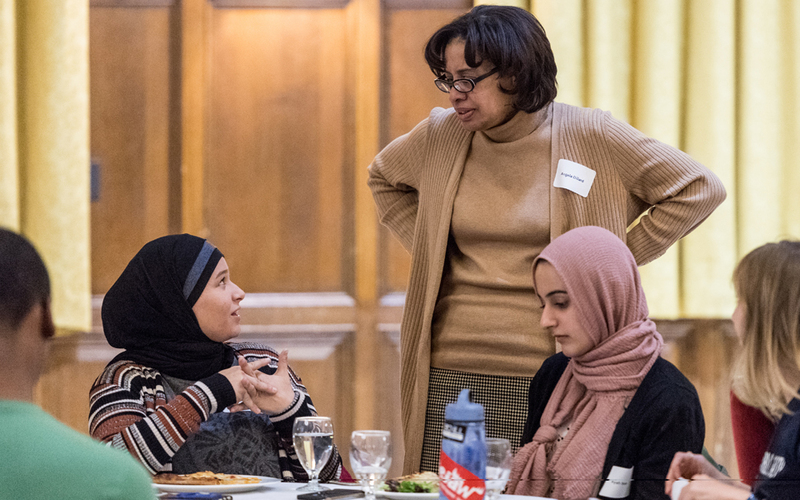 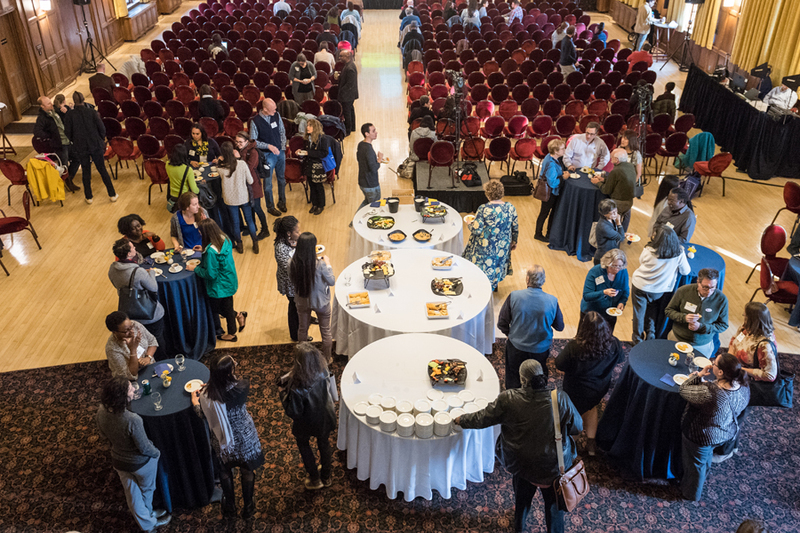 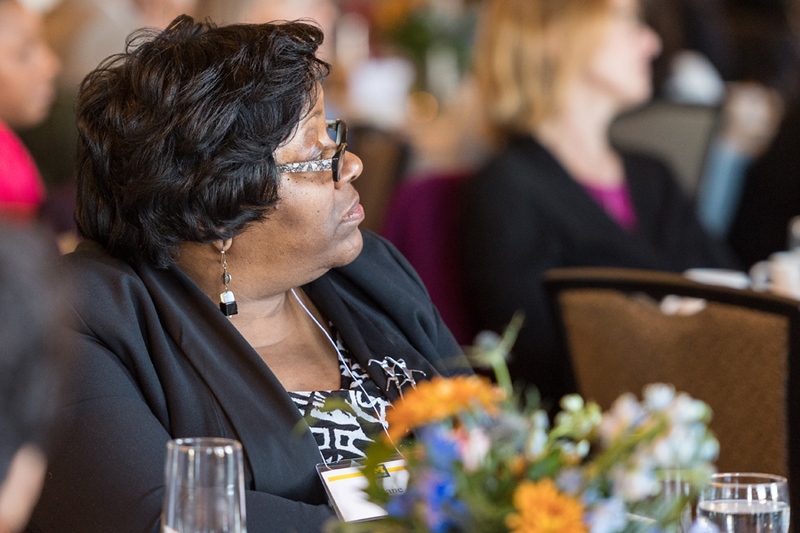 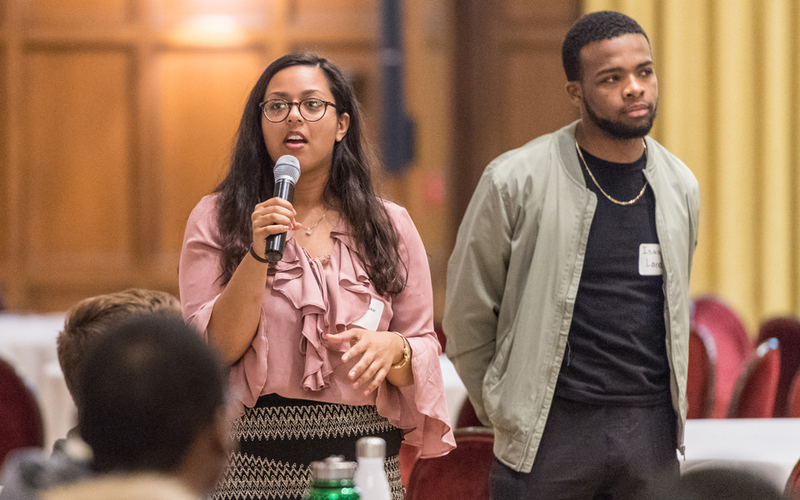 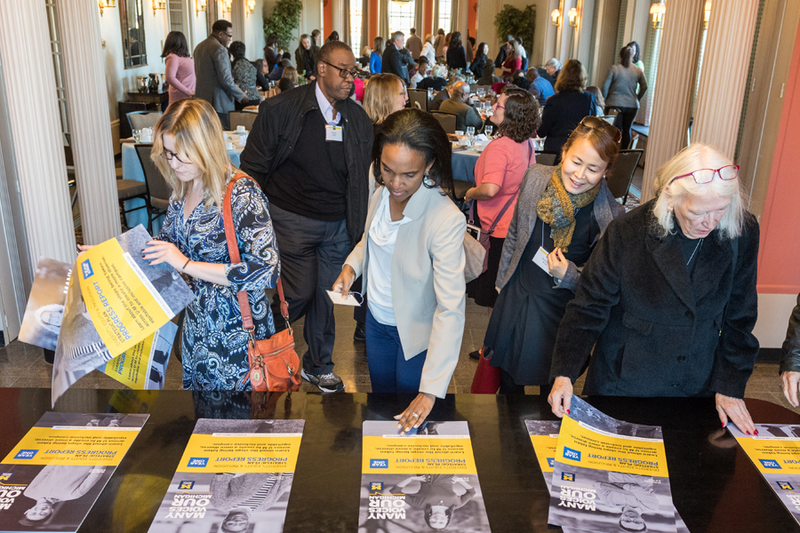 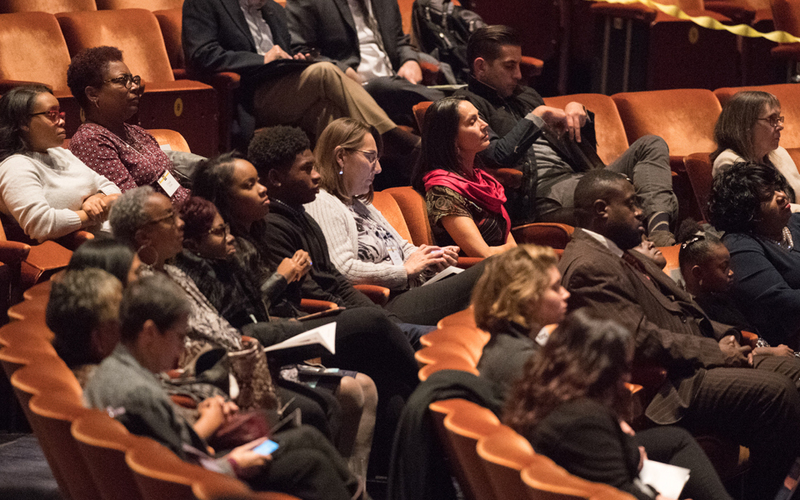 The Diversity, Equity & Inclusion Summit, Year One: Celebrating Progress, Addressing Challenges gave campus community members the opportunity to learn about the work completed during the first year on both universitywide and unit-based plans to improve diversity, equity and inclusion. 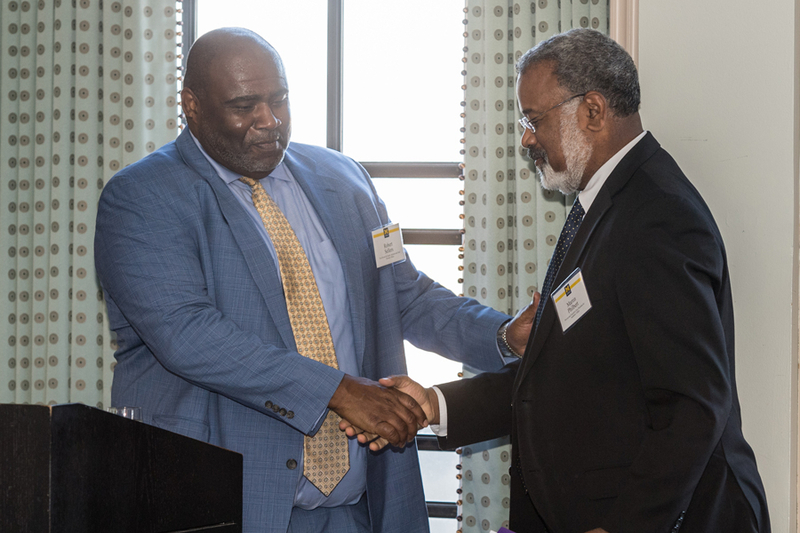 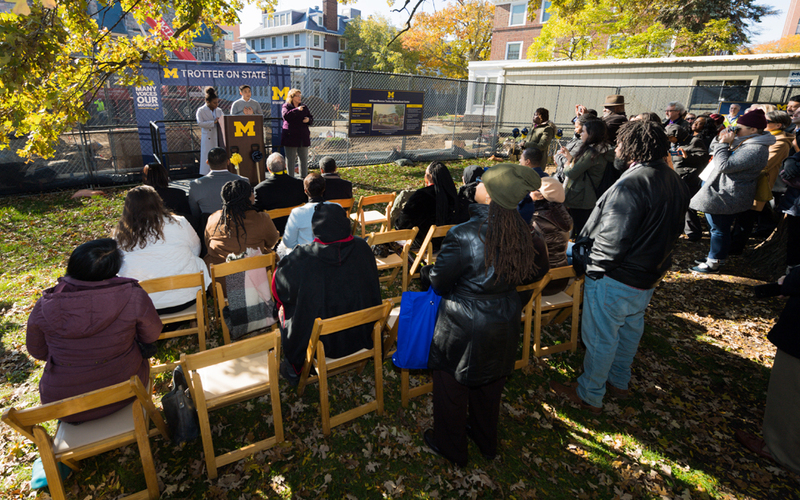 Events included a keynote speaker, an interactive panel and a ceremonial groundbreaking for a campus multicultural center. 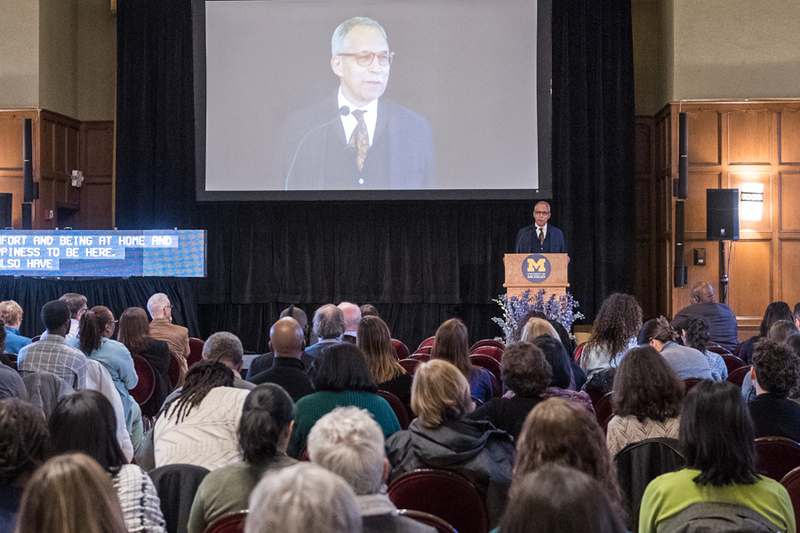 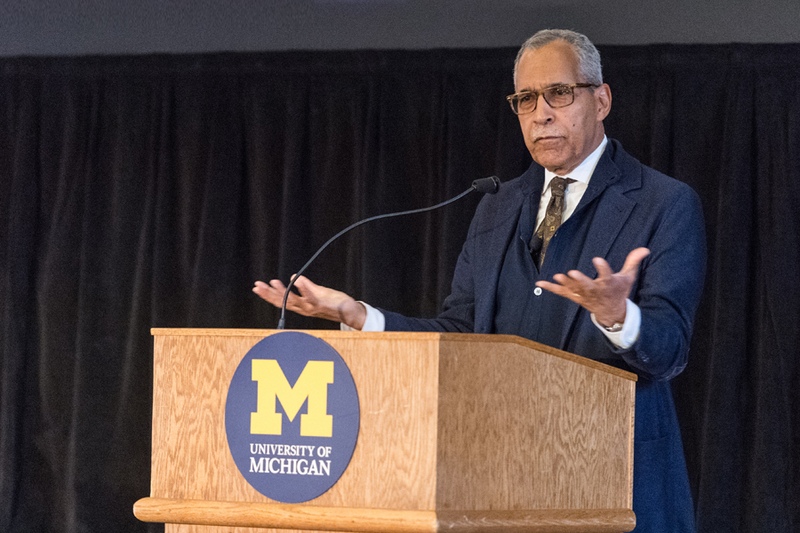 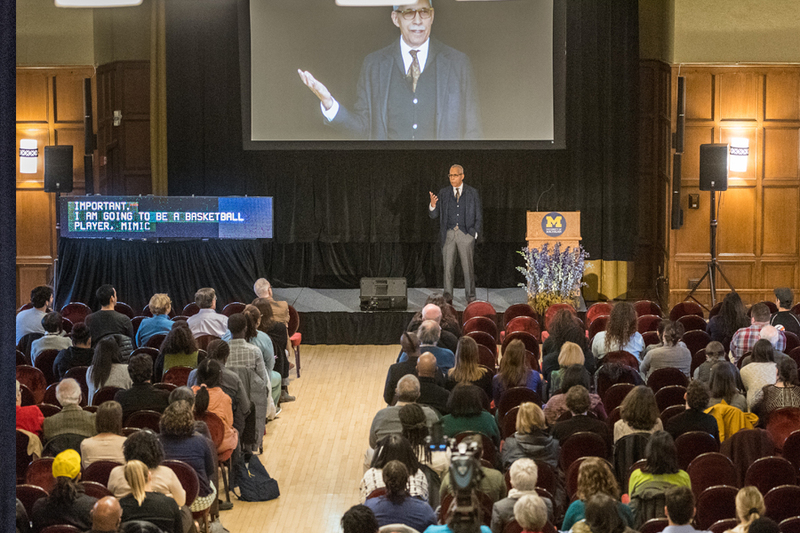 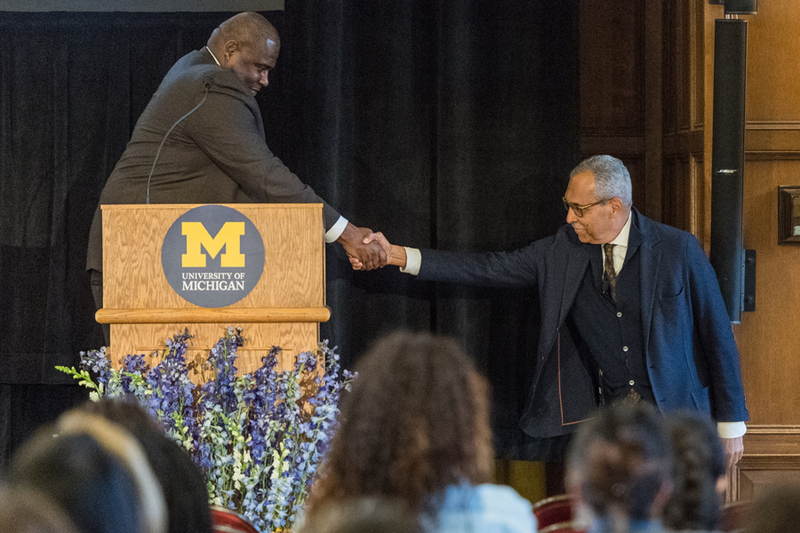 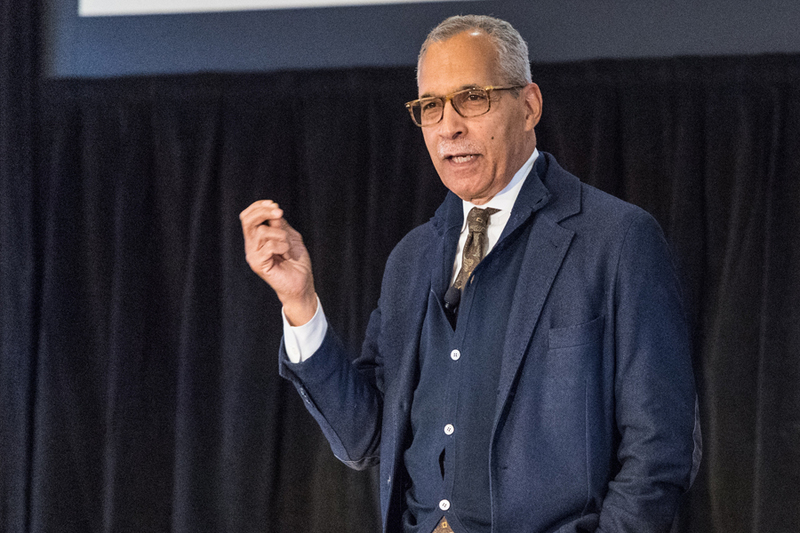 Claude Steele, a professor of psychology from Stanford University best known for his work on stereotype threat and social identity threat, delivered the summit’s opening keynote address at the Michigan League Ballroom. 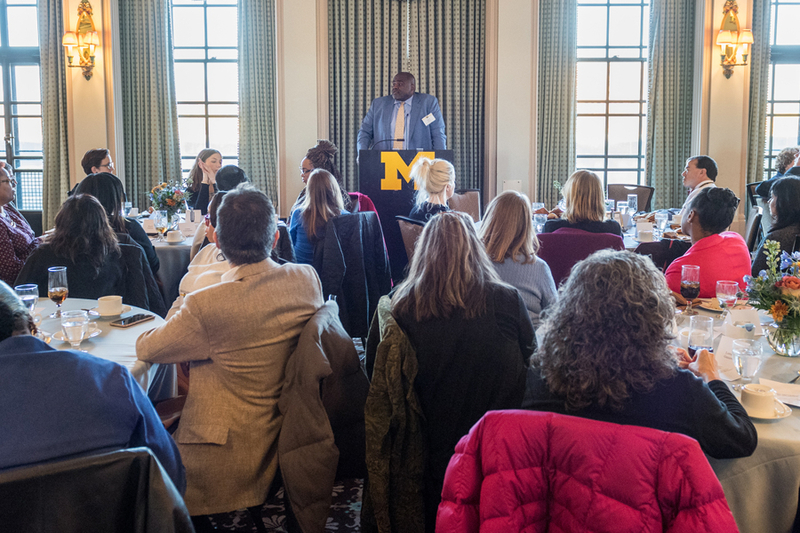 He discussed the psychological significance of a diverse community and its role in learning. 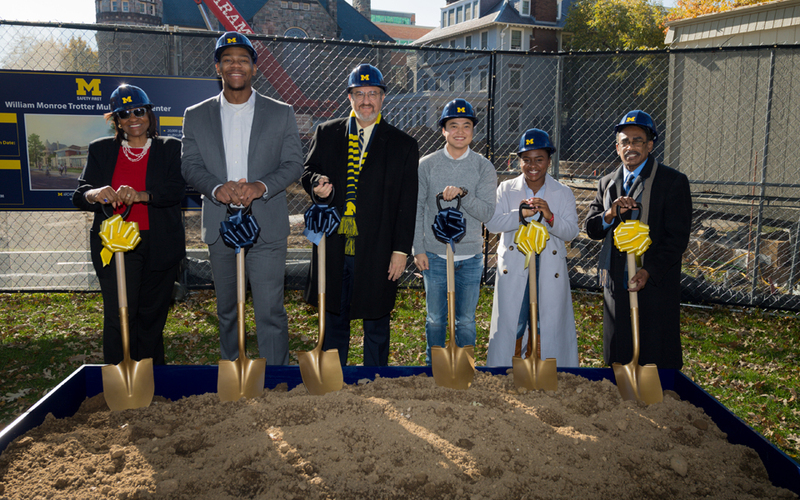 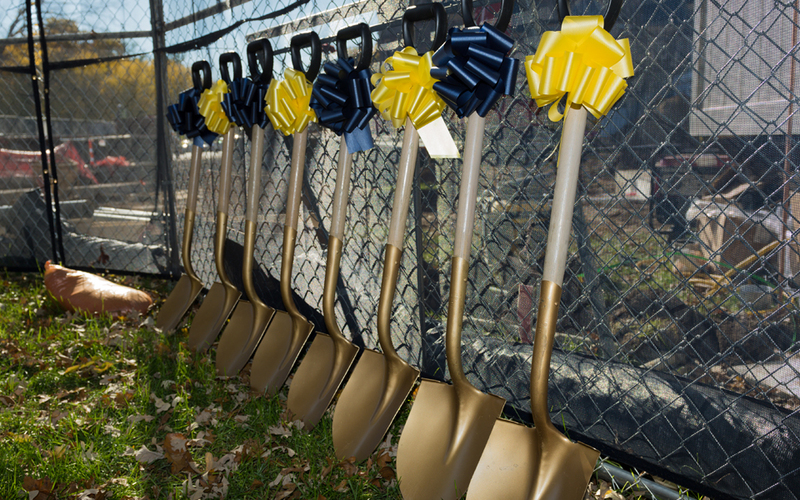 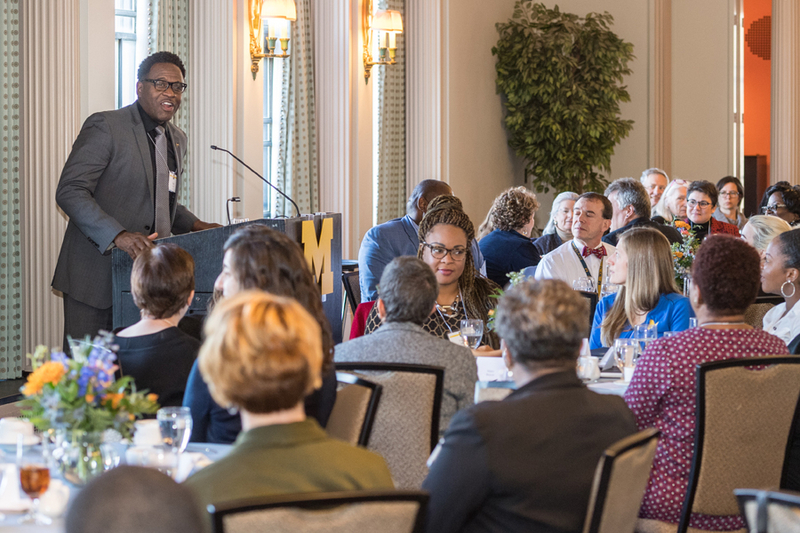 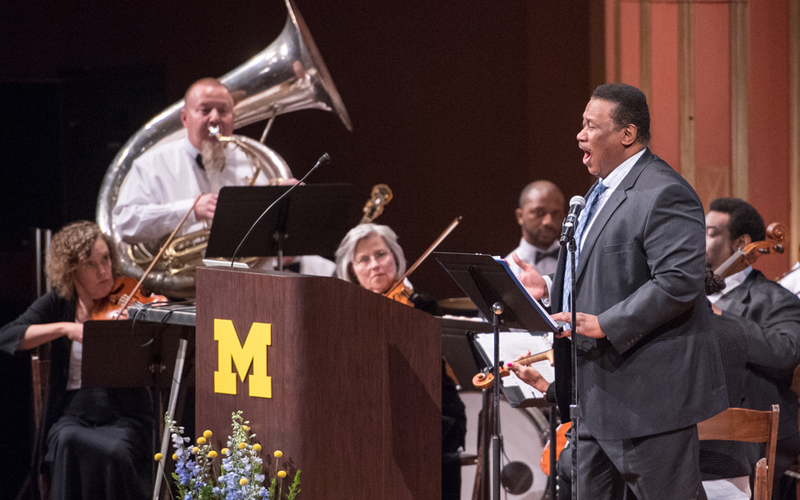 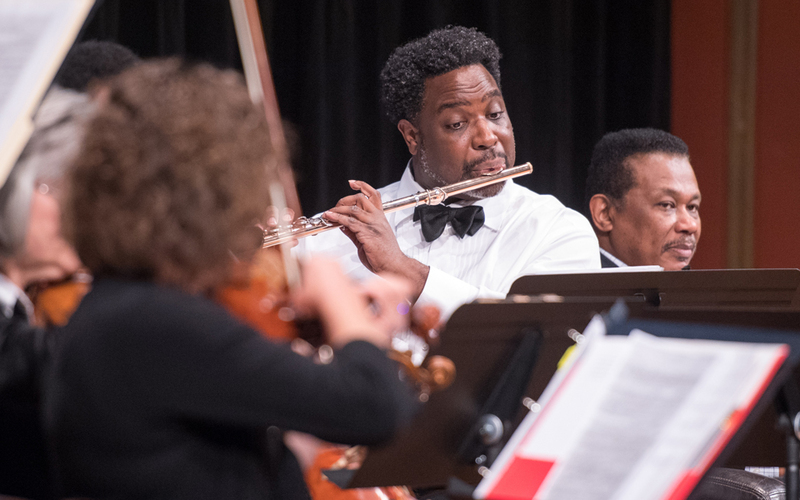 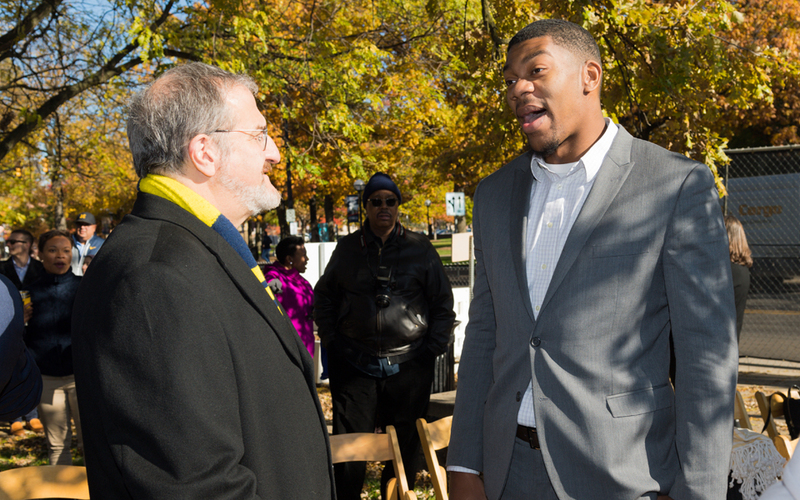 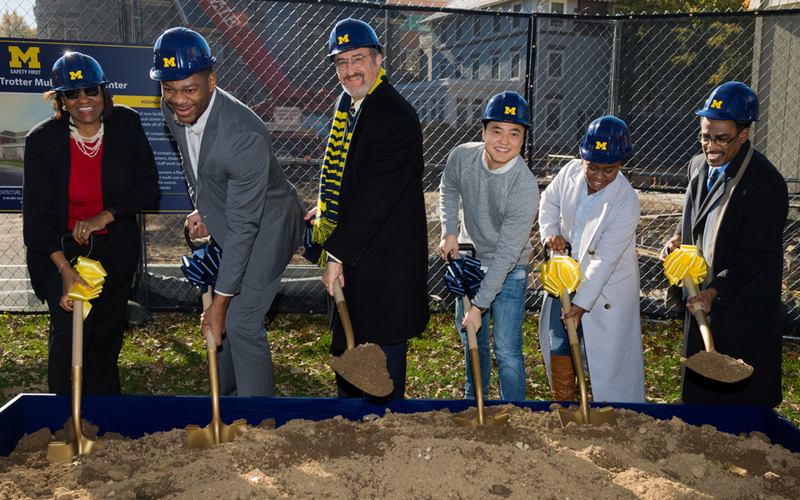 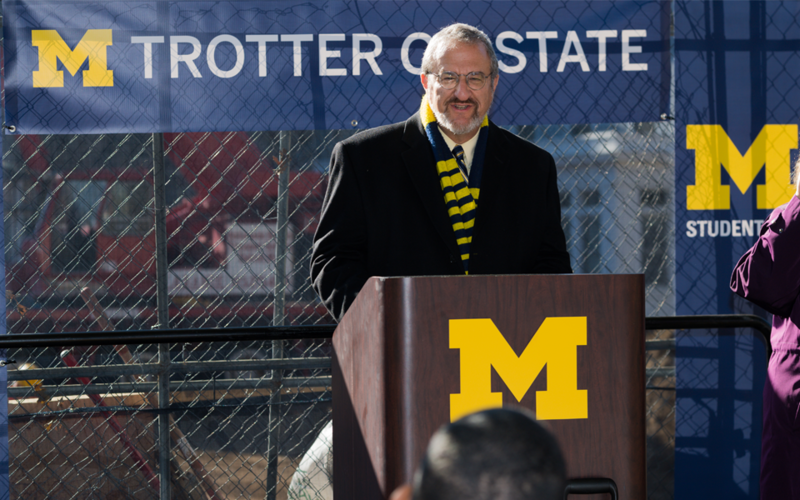 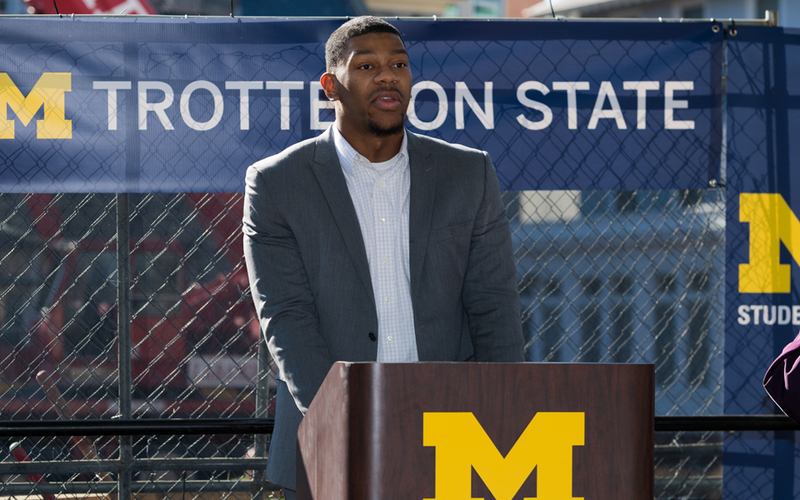 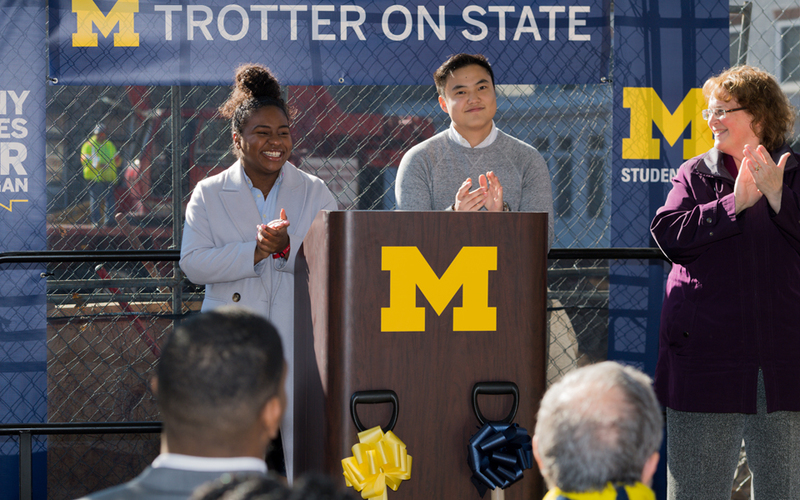 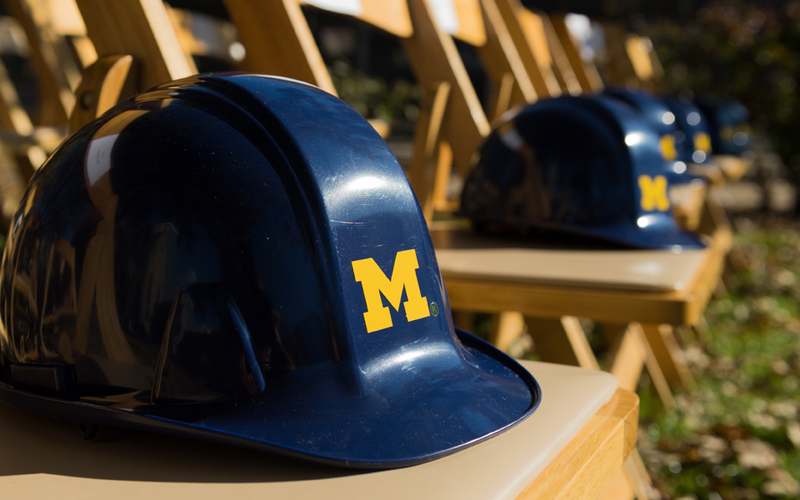 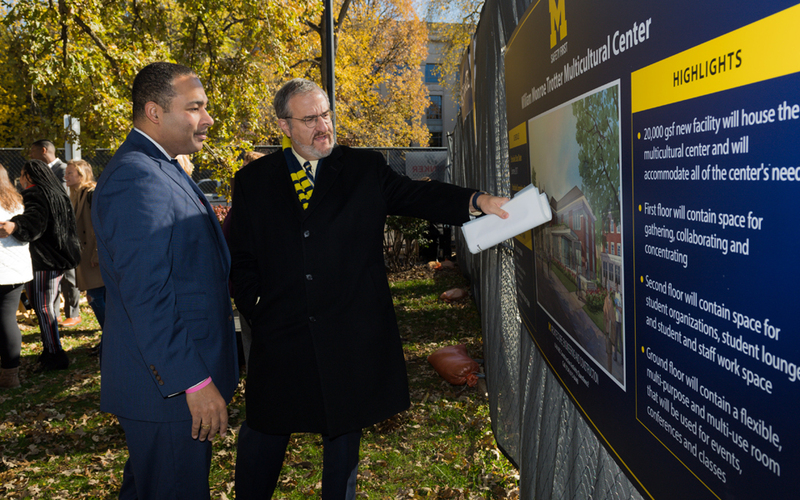 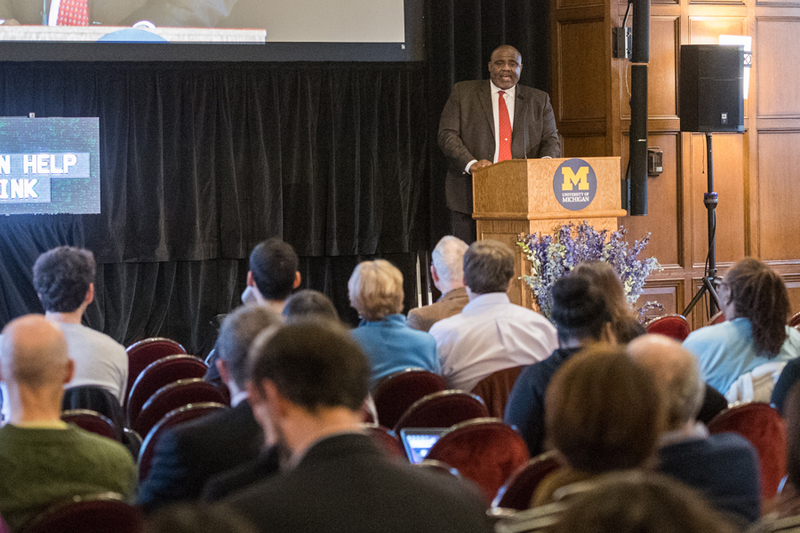 During summit week, U-M hosted a ceremonial groundbreaking to officially launch construction of a new, $10 million William Monroe Trotter Multicultural Center near the heart of Central Campus. 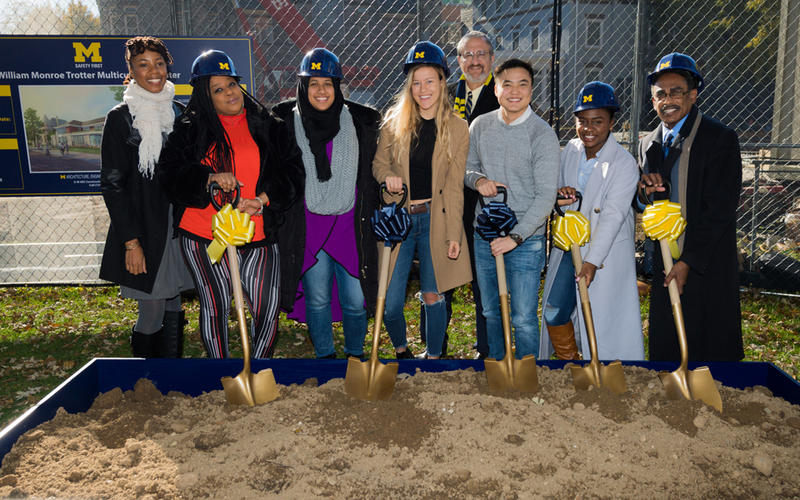 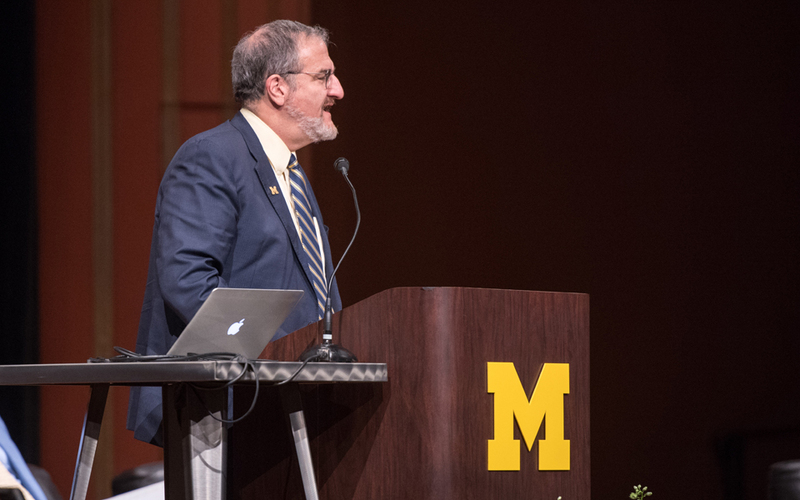 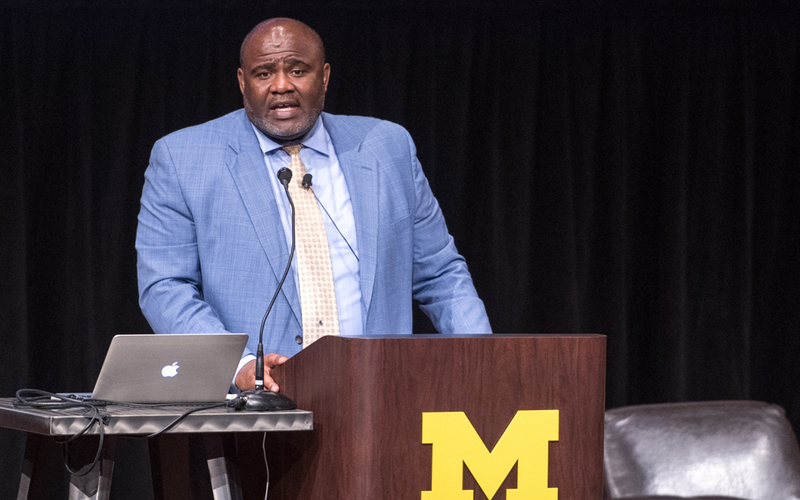 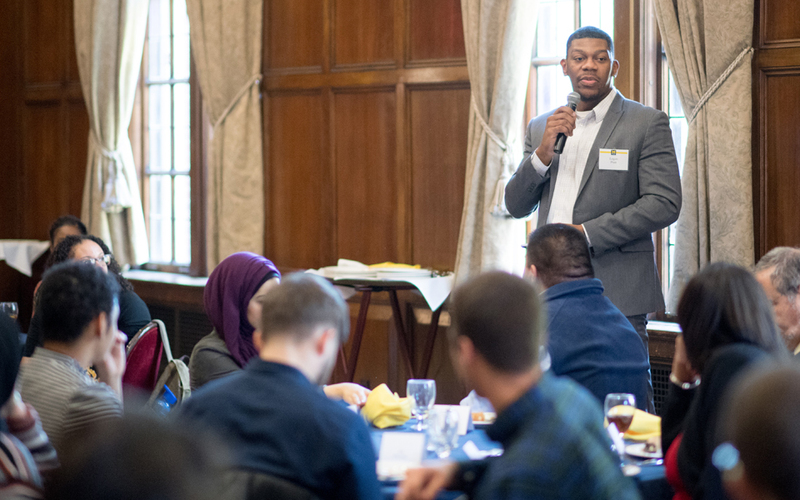 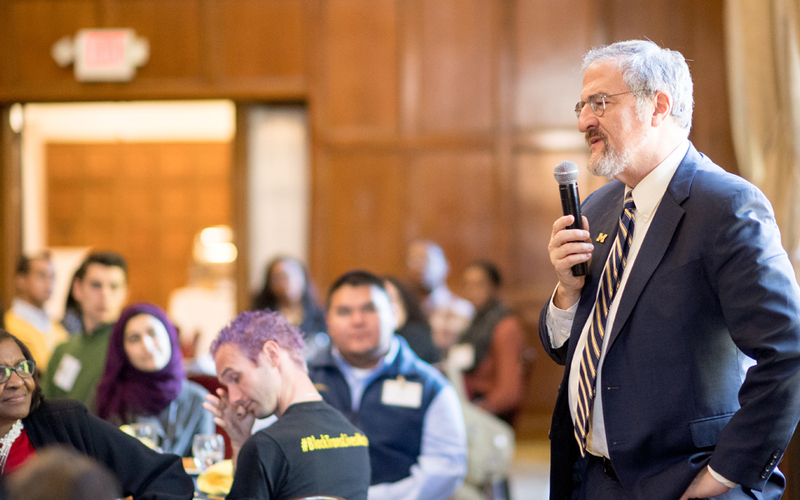 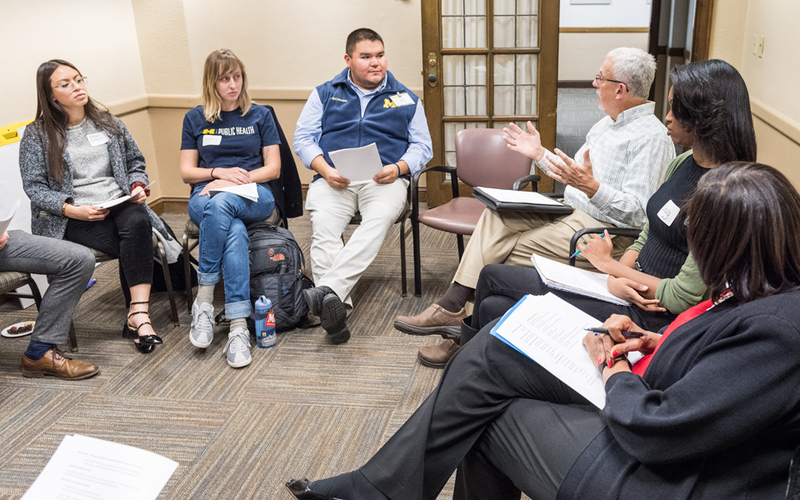 The center will serve students of many cultural identities and is planned to be a home dedicated to celebrating and fostering U-M’s diversity in a way that is inclusive and more visible. 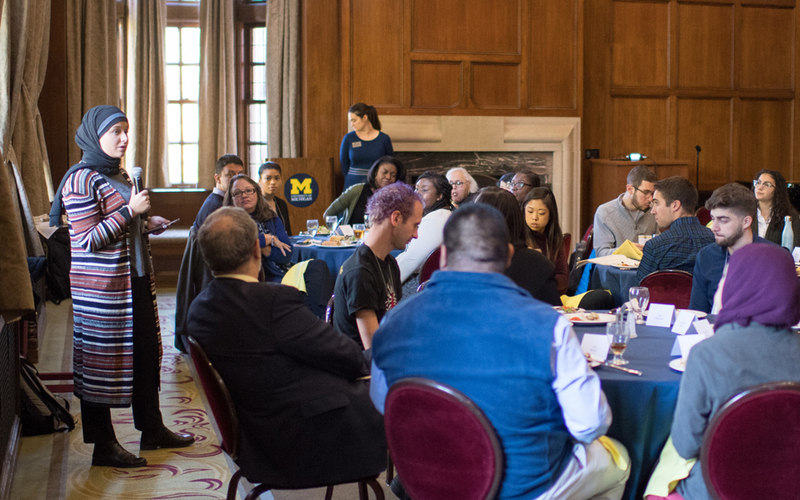 Students leaders gathered to learn about the latest updates on DEI and to provide input on next steps. 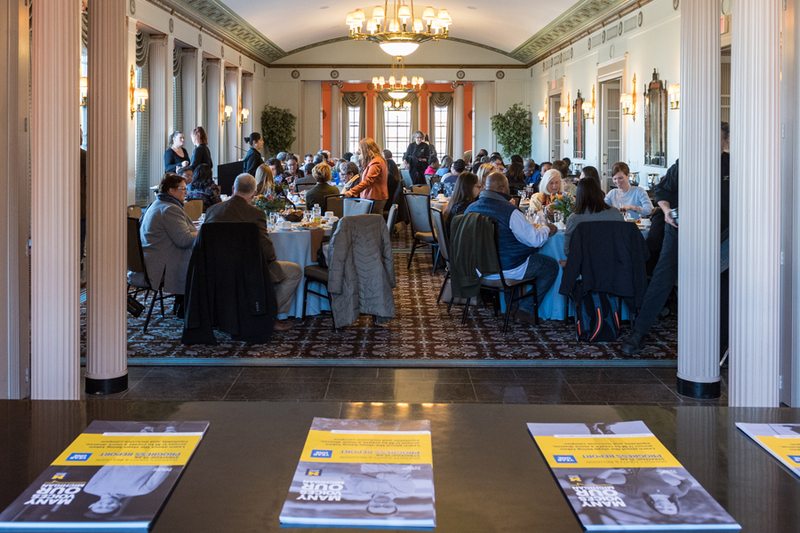 DEI unit leads discussed their unit’s progress and challenges at a luncheon. 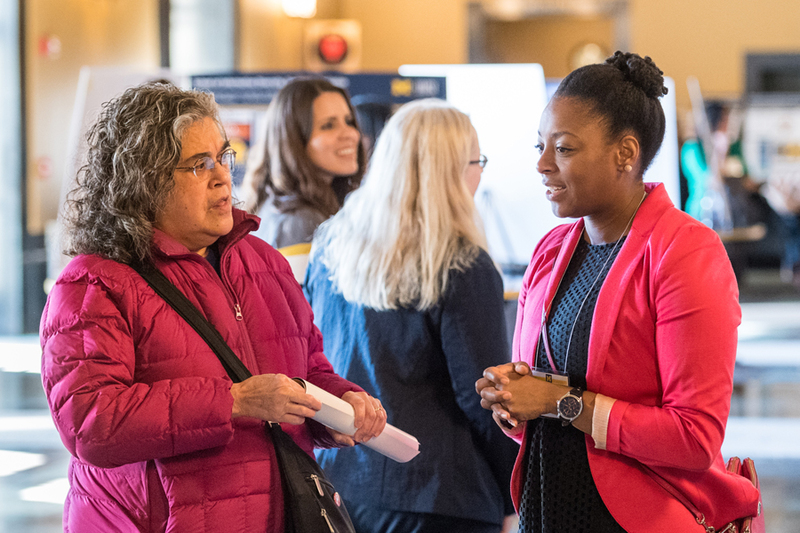 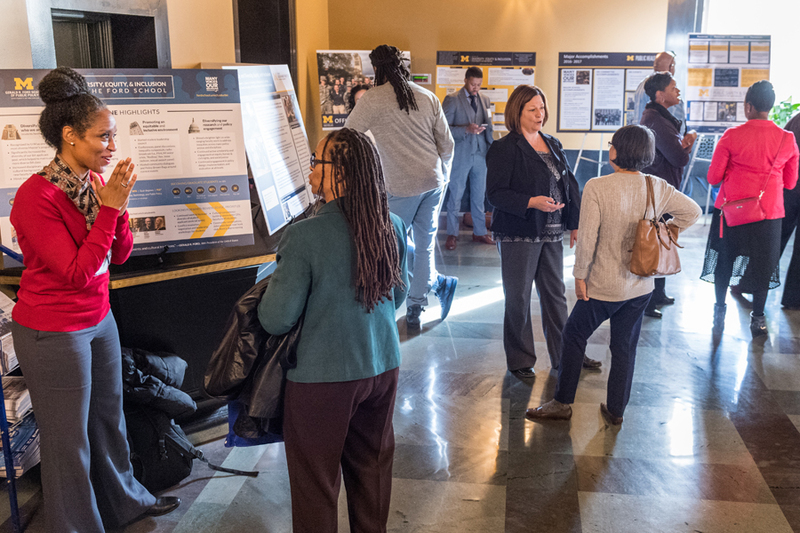 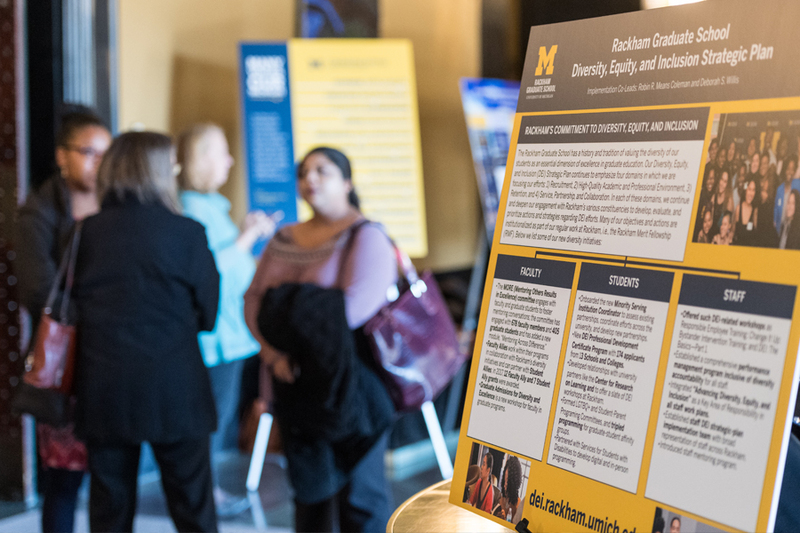 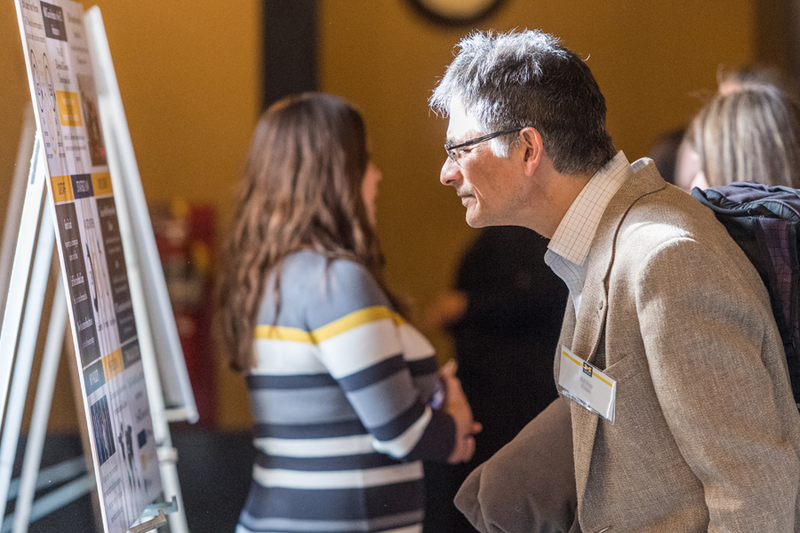 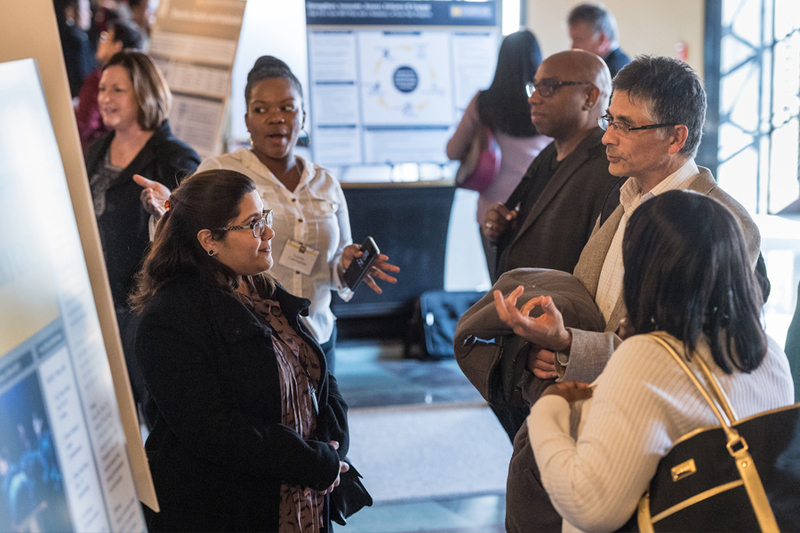 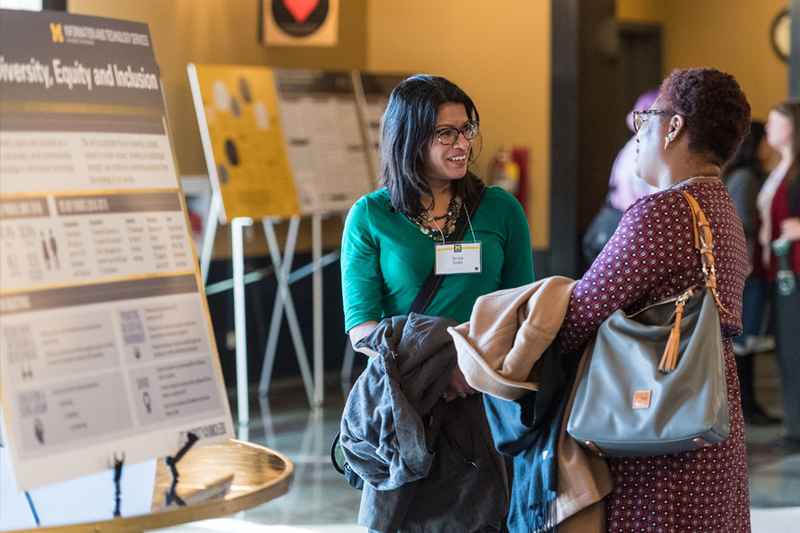 A poster session featuring DEI initiatives and progress took place in the lobby of Rackham Auditorium. 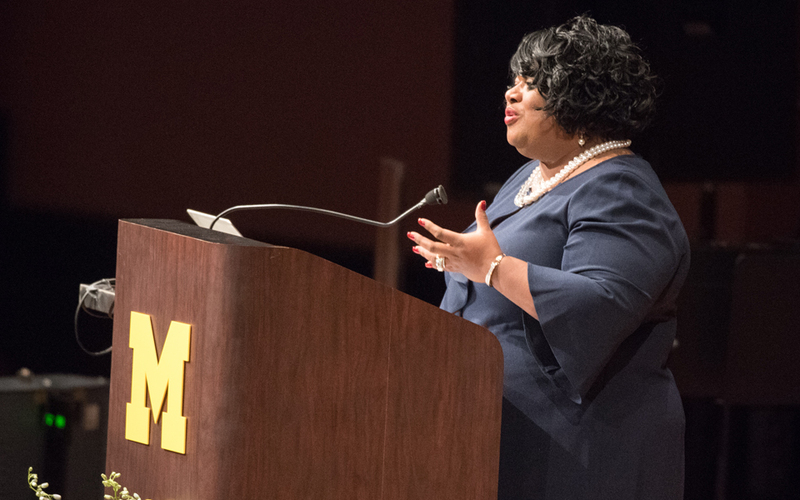 Tonya Allen, president and chief operating officer of The Skillman Foundation. 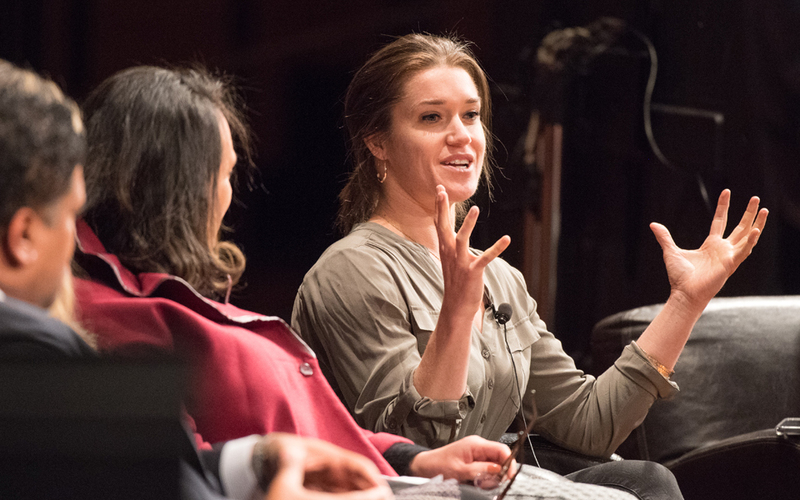 Rebecca Alexander, a psychotherapist, author, extreme athlete and disability advocate. 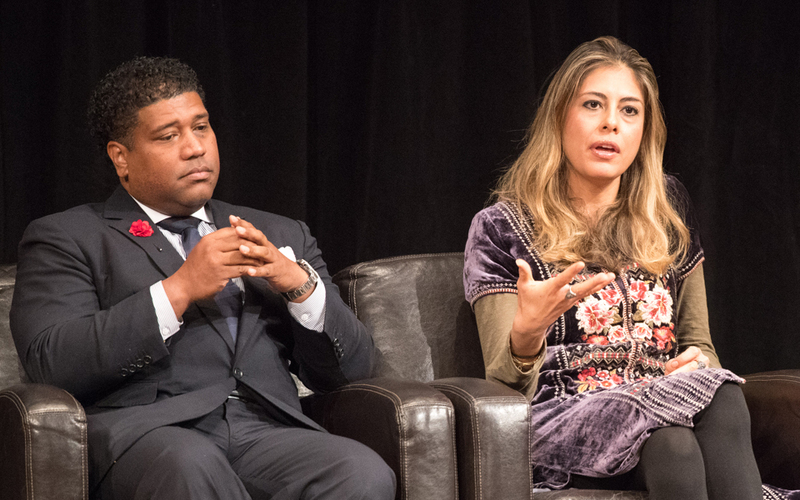 Carla Dirlikov Canales, a singer, entrepreneur and arts advocate. 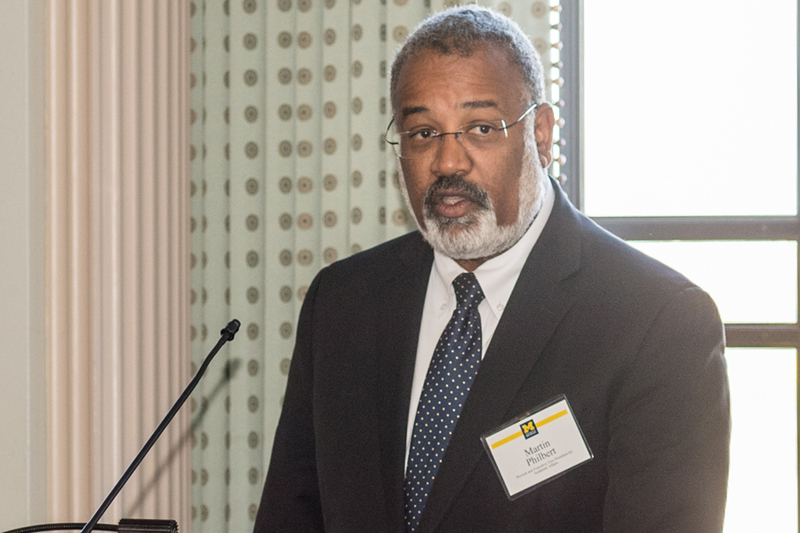 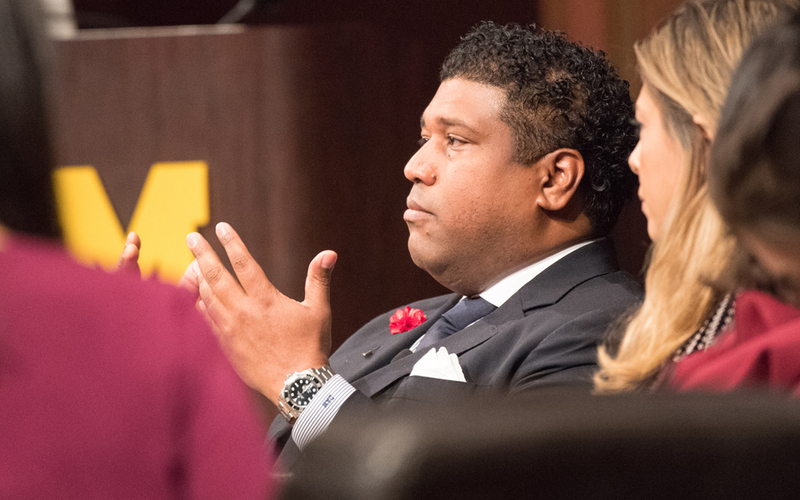 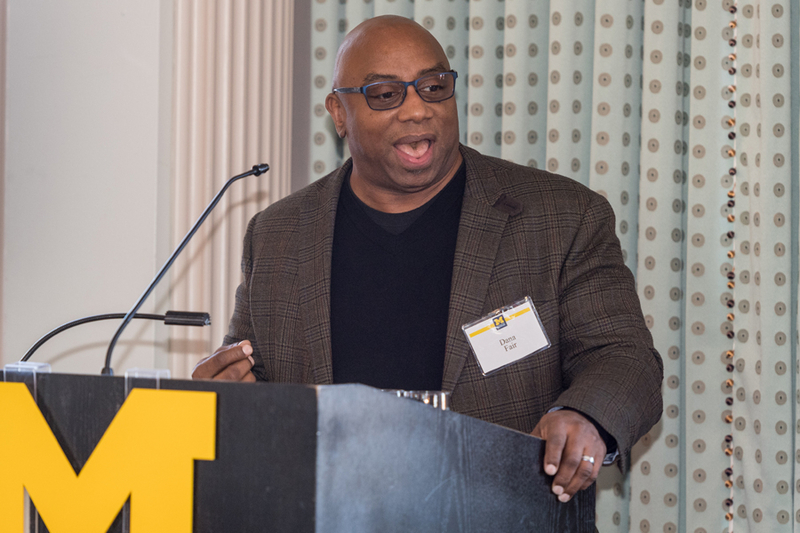 Damon A. Williams, chief catalyst for the Center for Strategic Diversity Leadership & Social Innovation, and a senior scholar and innovation fellow at the University of Wisconsin-Madison. 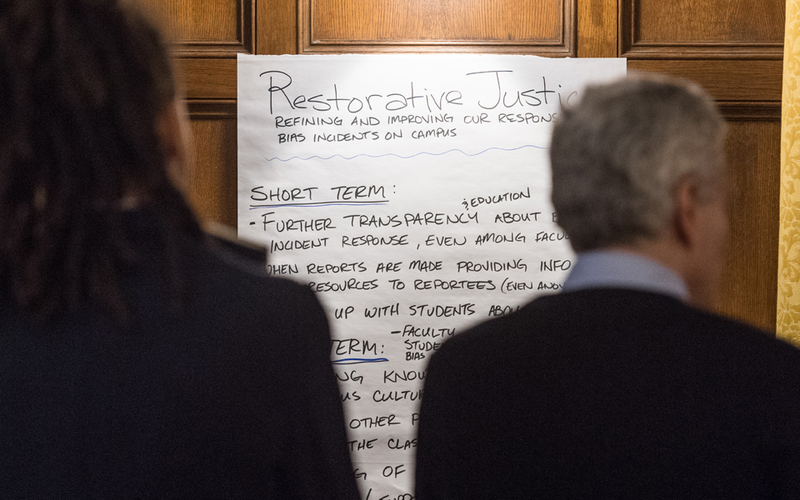 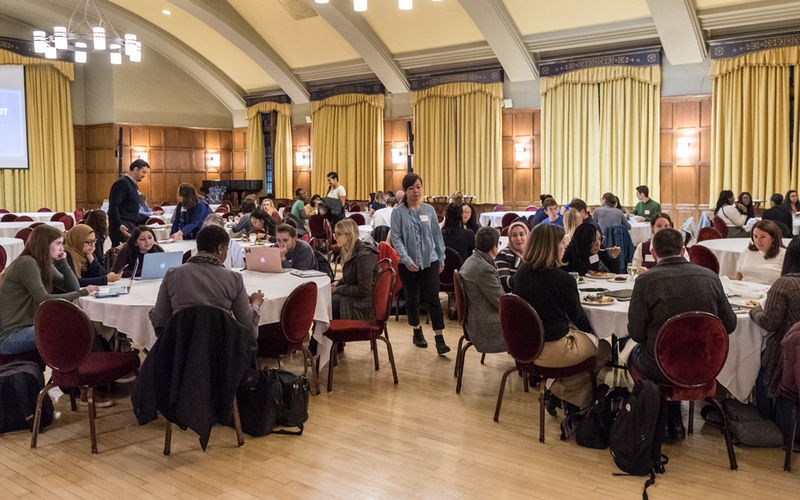 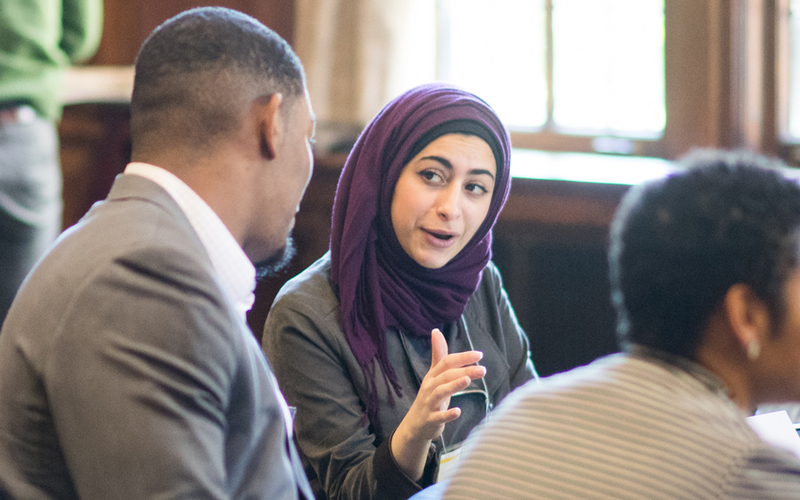 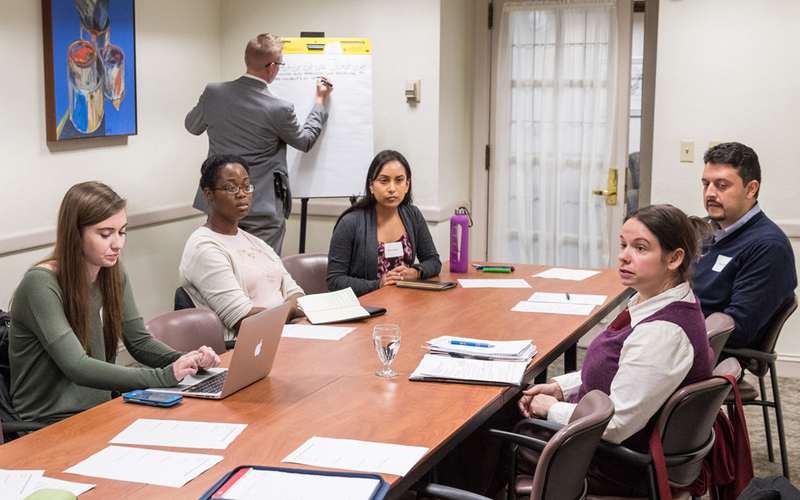 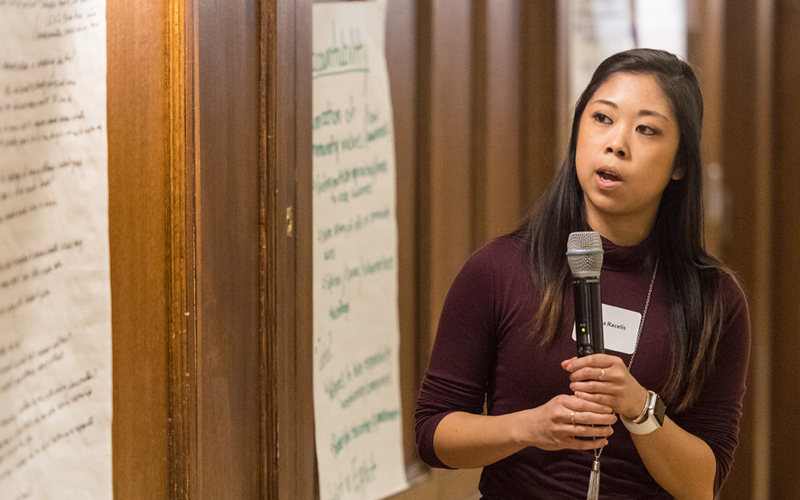 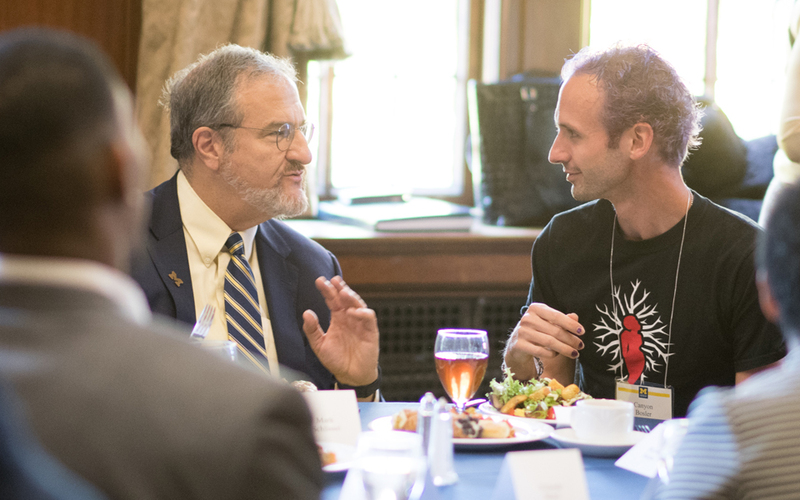 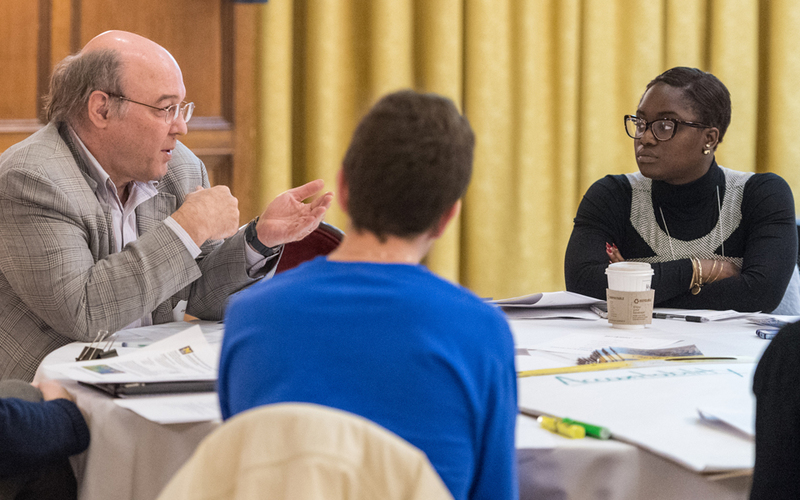 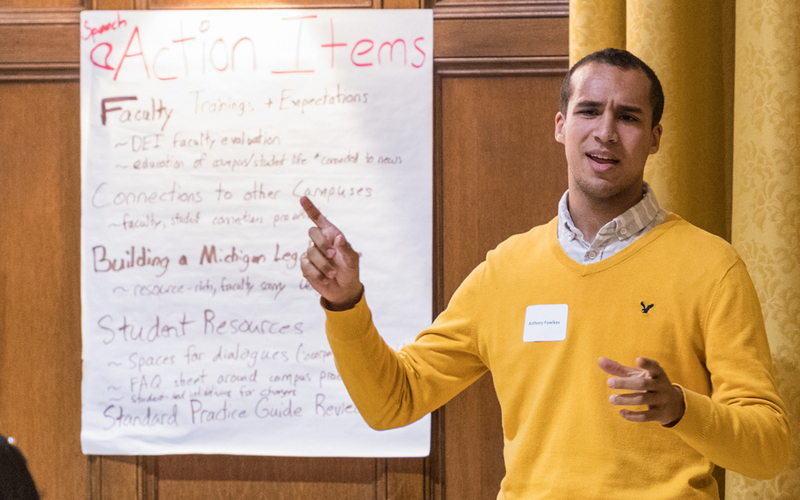 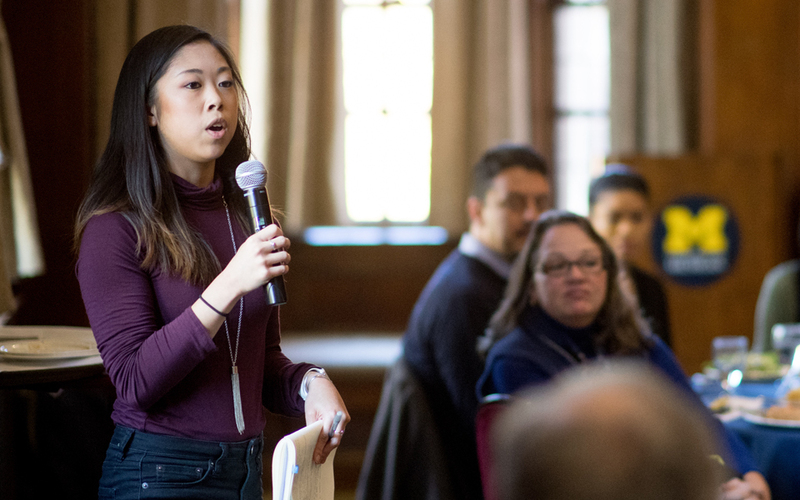 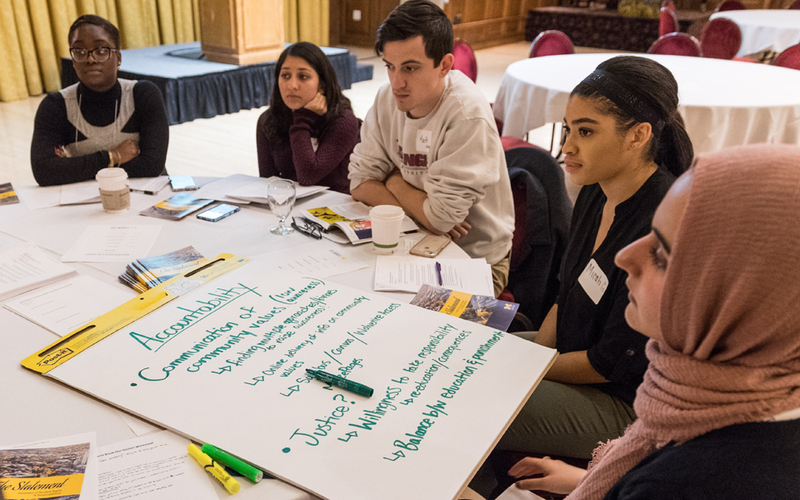 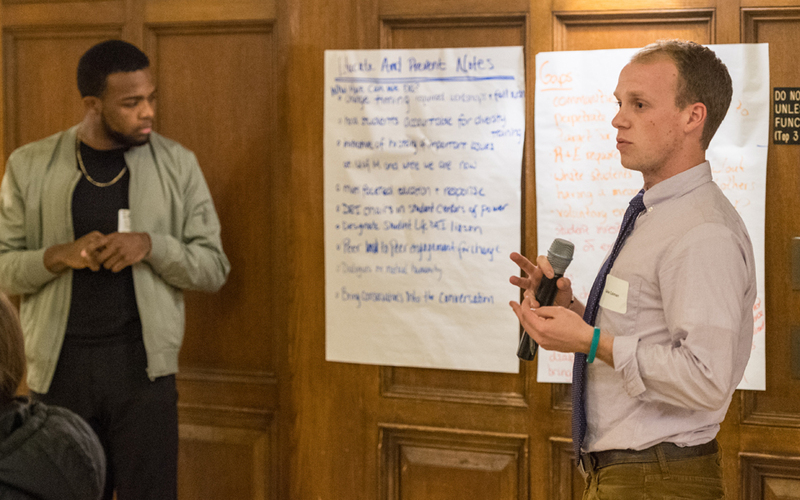 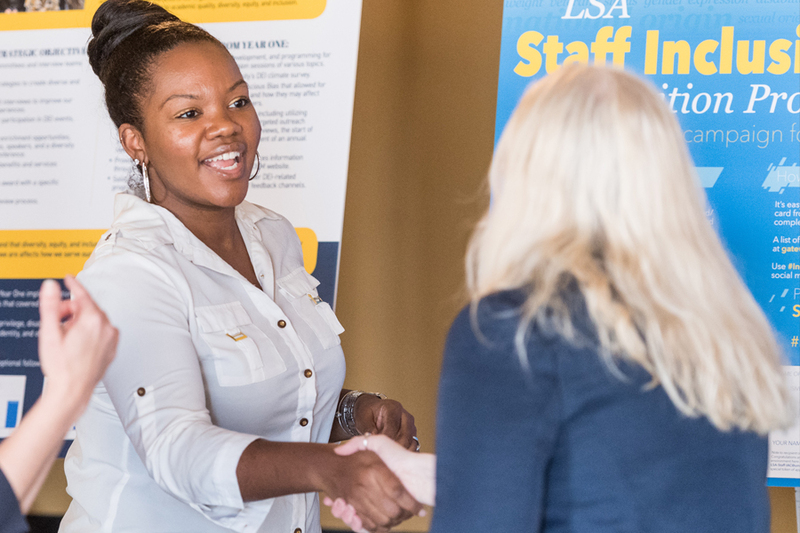 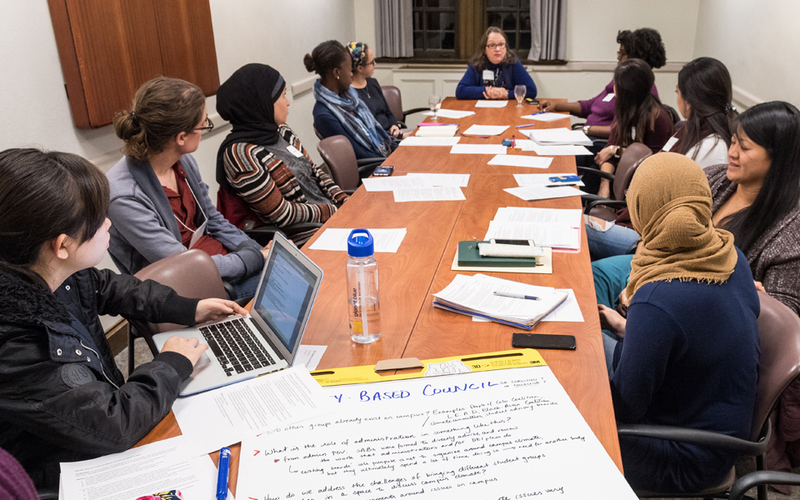 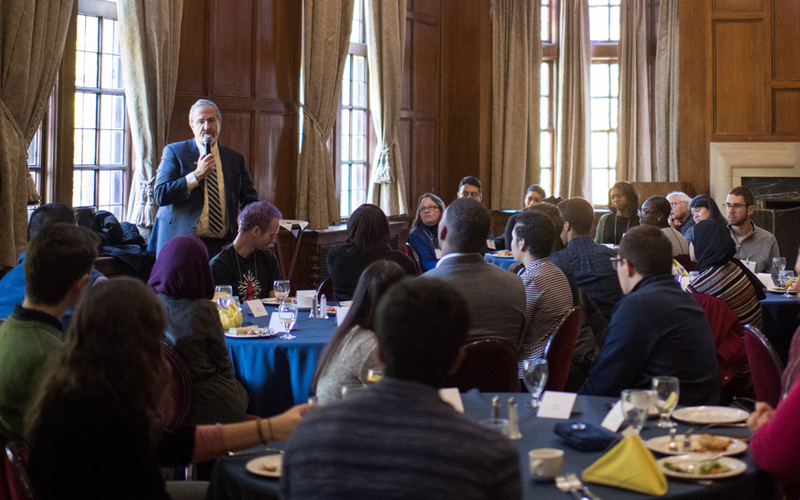 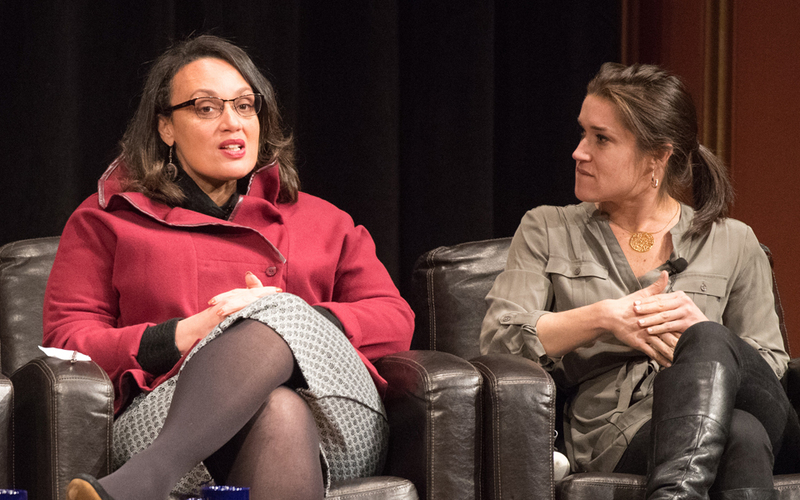 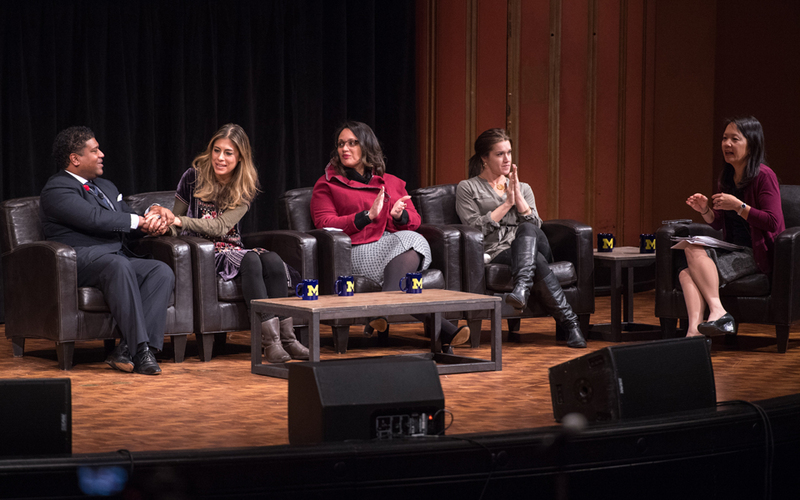 A student-organized summit focused on developing actionable plans to improve campus climate.